The votes have been counted, and the final round is here! After some ballot-stuffing in the previous rounds (gotta love the enthusiasm!) we did a paper ballot in class in addition to the online vote. But I am happy to announce that both votes agreed on our finalists. Good luck to both books! Winner announced on Sun. May 1st! #1. 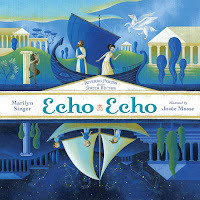 Echo Echo: Reverso Poems about Greek Myths (2016) by Marilyn Singer and illustrated by Josee Masse. 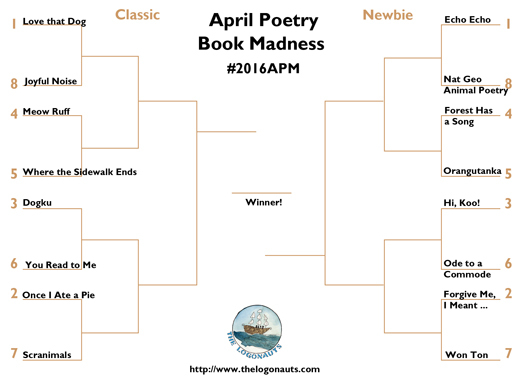 Click here for the most recent April Poetry Madness posts! 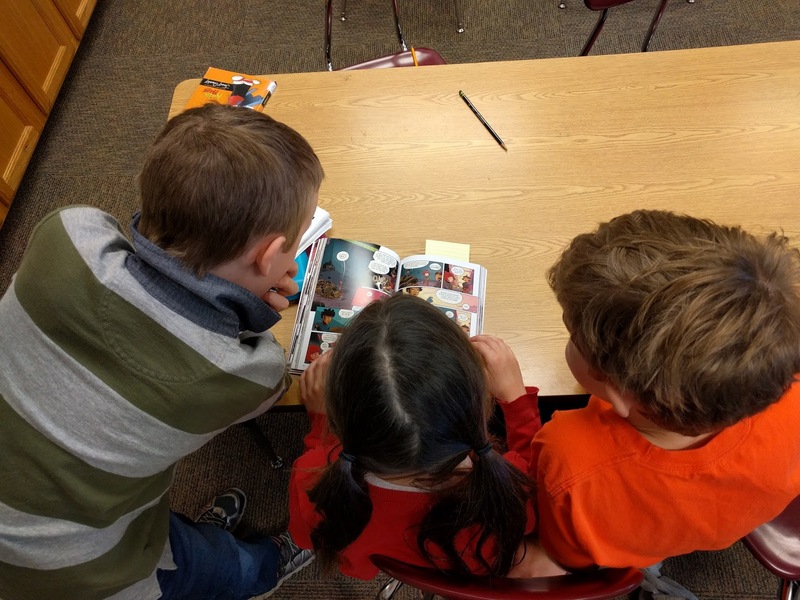 Book Club discussion groups are a great way to get kids excited about books and discussing them. This is one of a series of posts sharing some of my favorite books for Book Club discussions. Please click on the "Book Club" tag to read more. Walk Two Moons by Sharon Creech won the Newbery Medal in 1995 and is one of my all-time favorite children's books. It is definitely a tear-jerker (speaking literally for myself here) and such a well-crafted story. Multiple story lines. Kids have to balance both the present-day story line and the story-Sal-is-telling story line, as well as make connections (and predictions) between the two. There is a wonderful metaphor used in the first chapter that hints at how Sal's own story is hidden beneath Phoebe's story. Figurative and descriptive language. Phoebe and Sal receive a series of cryptic messages (proverbs) during the course of the story. These are great conversations starters for students as they talk about what the messages might be and how they might relate to the story. Big Issues. 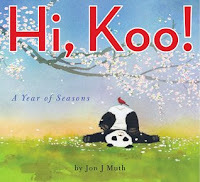 The book also deals very gently and sincerely with loss and separation. Both Sal and Phoebe are going through different issues with their parents and grandparents, and both respond in very different ways to their situations. I usually use four to six sections for Book Club discussions with my students. They meet twice a week (often Tuesdays and Thursdays), which gives us two or three weeks to finish any given round. When I first started I had many more Book Club divisions, but I found that kids had a hard time sustaining interest in a book when it became incredibly drawn out. Join the Diverse Children's Book Linkup! 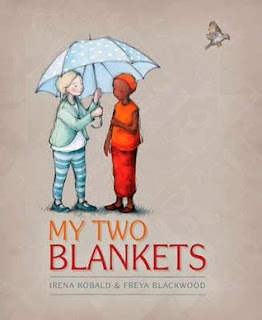 There's still time to stop by and check out this brand-new book meme featuring books for children that showcase the diversity of our world. 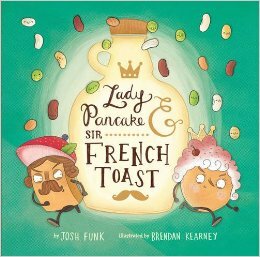 Lady Pancake & Sir French Toast (2015) by Josh Funk and illustrated by Brendan Kearney. This one was a big hit in my classroom. The kids loved the lighthearted foolishness of this fridge battle royale, as well as the familiar, bouncing rhyme scheme. The giant fridge fold-out at the end was a nice touch, as it's hard to resist no immediately turning back through the pages to see how the entire map fits together. Are We There Yet? (2016) by Dan Santat. Thanks to blogger heads ups, I was first on the request list for this book when it arrived this week to the library. 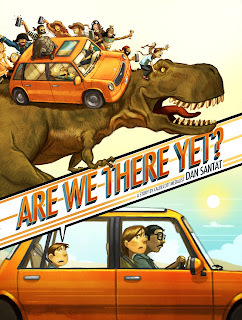 This story is a visual delight - our poor main character is stuck on a never-ending car ride to his grandmothers, which forces him to get ... creative. Kids will enjoy the interesting twists and turns of this book (literally). And have a phone with a QR code reader handy, just sayin'. 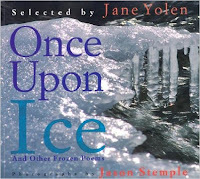 Once Upon Ice and Other Frozen Poems (1997) selected by Jane Yolen with photographs by Jason Stemple. 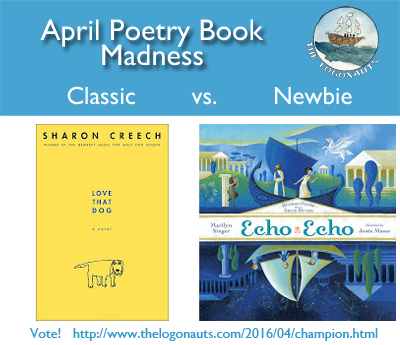 This charming little poetry book was suggested for our recent April Poetry Madness. 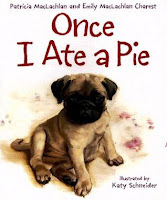 I adore Jane Yolen and had not yet read this one. It's a combination of her son-in-law Jason's photographs of ice that were sent out to other poets who shared their inspired poems. A fun project to show kids how many poems and ideas can come from even a single topic! Hello! 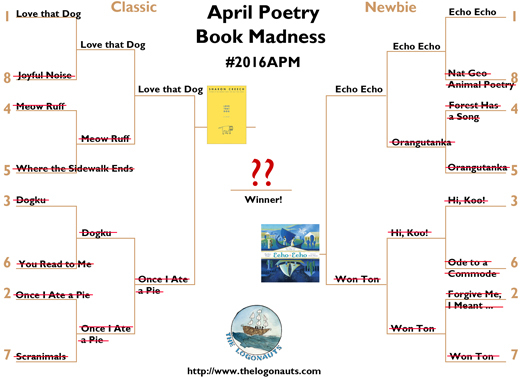 Welcome to the April 2016 Kid Lit Blog Hop. This exciting, monthly hop is where we develop an engaged group of people who love everything that has to do with children's literature. Everyone is welcome to join us: bloggers, authors, publicist, and publishers! Simply make a post and add it to the linky. (Please make sure to add your direct post only.) If you are an author, feel free just to link to your blog. Once you are done, then hop around to visit others. Please follow the co-hosts and visit at least the two people above your link. Please leave a comment when you do visit; we all like those. Also, it would be appreciated if you grab the Kid Lit Blog Hop Badge and display it on your blog and/or your post. We would also be grateful if you tweet about the blog hop too: #KidLitBlogHop. Let’s grow this wonderful community. Our next hop will be May 17, 2016. The hostess will be around to see you soon. 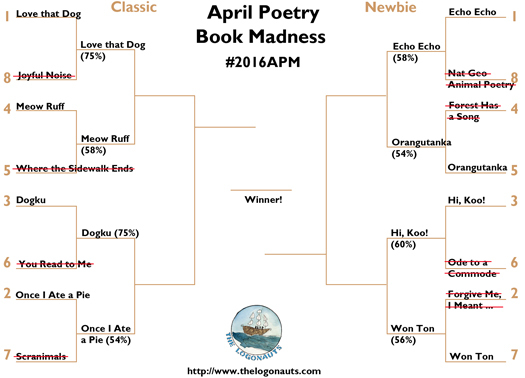 April Poetry Madness: Final Four! In honor of April being National Poetry Month, my students and I are organizing a Poetry Book Madness tournament #2016APM. Thank you so much for all those of you who shared your favorite children's poetry books in our previous post and helped seed your favorites. #4. 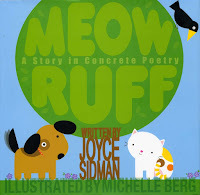 Meow Ruff: a story in concrete poetry (2006) by Joyce Sidman and illustrated by Michelle Berg. This "If you like ... read this next ..." format was inspired by the We Need Diverse Books summer reading series. They used the format to encourage people to find and read diverse books, so all of their "read this next" choices highlight great, diverse book choices. You can find their posts here on their Tumblr page. If you like Cleopatra in Space, then you should read The Courageous Princess series by Rod Espinosa. Both book series have a princess in them that is not like a wussy princess but way more adventurous. I would recommend these books to anyone who likes mysteries and is willing to read a book about a courageous princess! 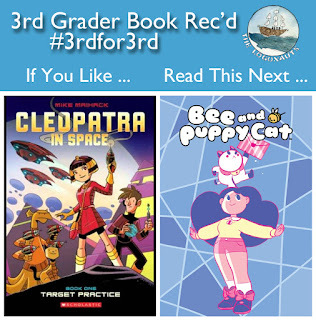 If you like Cleopatra in Space, then you should read Bee and PuppyCat. 4: It's just super awesome! P.S. Book 3, The Secret of the Time Tablets just came out. In our classroom, kids are reading it three at-a-time! Looking for more book recommendations? 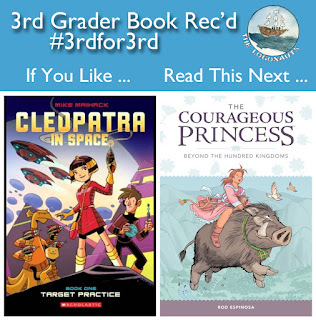 Check out the #3rdfor3rd tag for book recommendations written by my third graders about their favorite books or the Read This Next tag for more recommendations like this one! 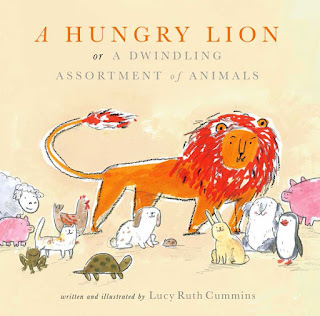 A Hungry Lion or a Dwindling Assortment of Animals (2016) by Lucy Ruth Cummings. Sarcastic irreverent picture books have almost become a genre in themselves (I Want My Hat Back, This is Not My Hat, Carnivores, and more). This book plays on that idea, as the title sets you up immediately, but perhaps this book is not what you are expecting. Or is it? The Only Child (2016) by Guojing. 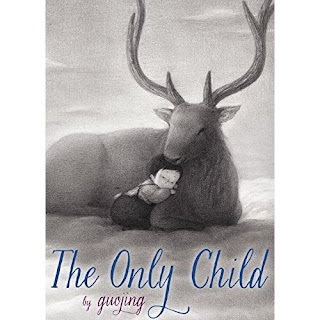 This incredible wordless picture book / graphic novel is based on the author's true experience growing up as an only child during China's one-child policy. This fanciful tale begins from that place of truth and then takes the reader on a magical yet emotional journey. Lovely. 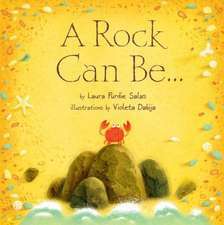 A Rock Can Be ... (2015) by Laura Purdie Salas and illustrated by Violeta Dabija. 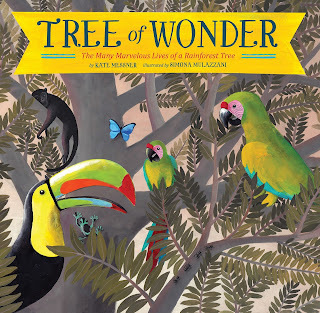 This is the first book I have read in this charming science series (which also includes Water Can Be ... and A Leaf Can Be ...). Lyrical lines celebrate all the many different things that rocks can be and detailed notes at the end explain the science behind the words and illustrations. A great series for science teachers who want to integrate more literature. 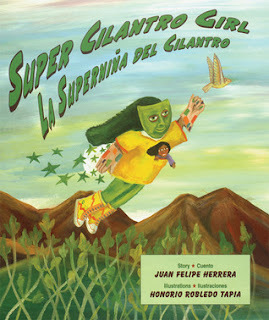 Super Cilantro Girl (2003) by Juan Felipe Herrera and illustrated by Honorio Robledo Tapia. This bilingual story tells of a girl whose mother has been detained at the US / Mexico border, and in response the girl finds herself morphing into a superhero who can fly across the border. This book could have been much more, and I agree with many other reviewers that the artwork distracts rather than adds to the story. 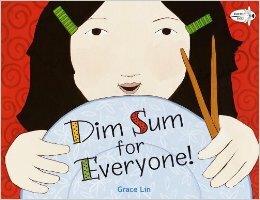 Dim Sum for Everyone (2003) by Grace Lin. Cute but slight. Not a lot of detail for someone who is unfamiliar with dim sum (though there is an author's note). Cartoonish illustrations. #5.Where the Sidewalk Ends (1974) by Shel Silverstein. #6. 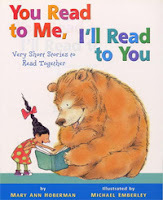 You Read to Me, I'll Read to You: very short stories to read together (2006)by Mary Ann Hoberman. #7. 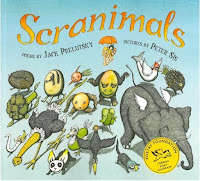 Scranimals (2002) by Jack Prelutsky and illustrated by Peter Sis. #2. 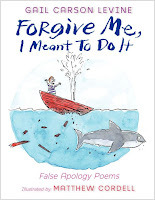 Forgive Me, I Meant To Do It: false apology poems (2012) by Gail Carson Levine and illustrated by Matthew Cordell. #4. 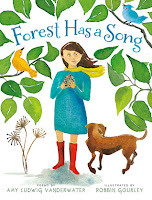 Forest Has a Song (2013) by Amy Ludwig Vanderwater and illustrated by Robbin Gourley. #6. 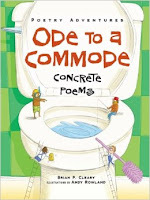 Ode to a Commode (2014) by Brian P. Cleary. #8. 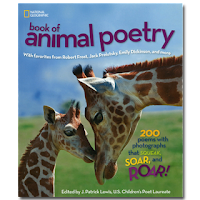 National Geography Book of Animal Poetry (2012) edited by J. Patrick Lewis. 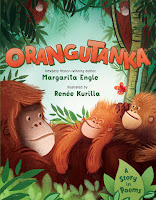 April: New Middle Grade Book Releases! 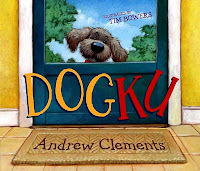 Introducing the Diverse Children's Book Link-Up!